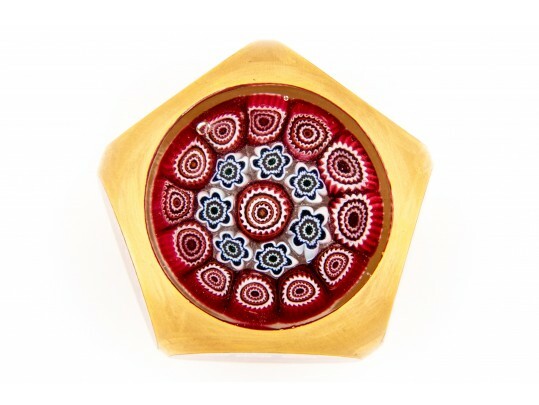 Paperweight with five clear facets revealing a millefiori cushion of red, white and blue canes. Gilt surround. Condition: light scratches to the gilding.